I'm running 205/65r16 (not by choice) on prokit springs. 225/60r16 will b almost identical height but just wider. Here is a side pic. Let me know if it helps! Yes this does help! Thanks! So if your lowered and have no clearance issues I should definitely not have a problem since Im staying at stock height. I'm running 225/50 x 16 Yokohama S Drive summer tires on 7" wide Drag 34 rims with 40mm offset, I'm on NF210 springs. No clearance issues. Last edited by BrickPig; 08-24-2013 at 08:30 PM. I know the 225 50 16 works well. I want to go larger either 225 55 16 or 225 60 16. 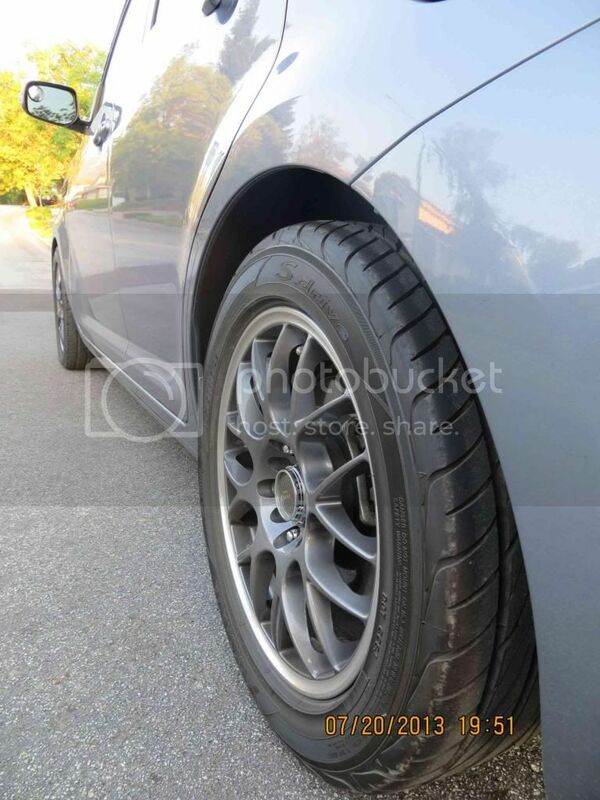 Sounds like you know this already, but for those who don't: according to Custom rims, wheel tire packages for your ride - RIMSnTIRES.com the 225/55x16 will introduce a 3.5% speedometer/odometer error and the 225/60x16 will introduce a 7% error. The 225/50x16 size has the exact same rolling diameter as stock. Last edited by BrickPig; 08-24-2013 at 11:16 PM. You are right brick! It does affect you. When I am going 70 according to my speedo, I'm actually rolling at about 74. Keep that in mind. It won't always be a 4 mile increase as it's a percentage. But if you can live with that then they will fit without a problem whatsoever and give you a little bit more ground clearance too. 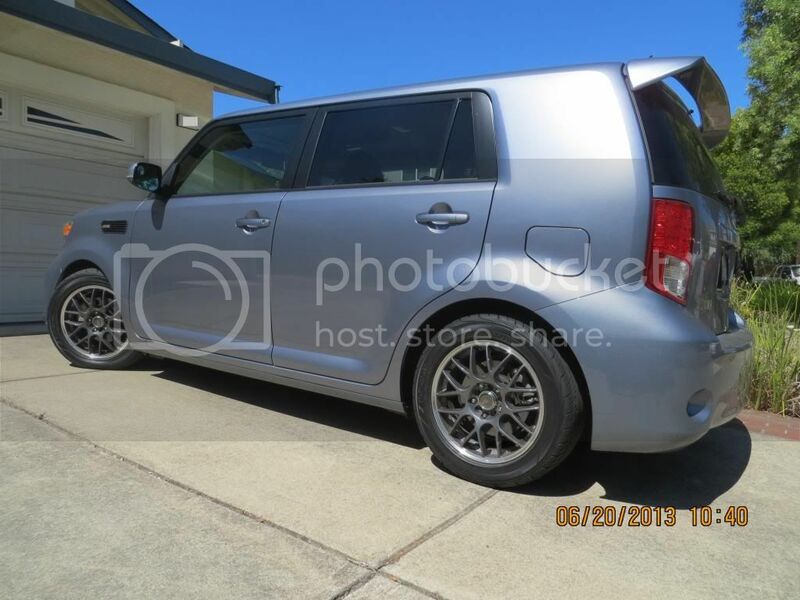 Even with lowering springs I am at about the same height as stock xb's only level. If you like this look and comfort then definitely go for it. Just make mental notes of your speedo. hello, I am also trying to put 225 60 16 on stock wheels, stock suspension. Will I have problems with rubbing if I have two more people with me in the car?